If you’d like to dance – ask! Everyone is free to ask anyone to dance – that is what we’re here for! If you’re not quite ready to do the asking, standing on the side of the dance floor with arms uncrossed, moving your body to the music and with a cheerful smile, are all great indicators that you are ready to be asked. Please accept any offer of a dance. It takes courage to ask someone. If you have to decline, please do so politely and/or perhaps find them later. Basic moves executed with good technique will deliver a more satisfactory dance than one full of flashy moves that are hard to follow. If your partner is less experienced (or brand new), then please treat them gently. Making eye contact with your partner during the dance makes them feel that you are valuing your dance together. We do not expect you to stare at your partner, but please don’t ignore them either. 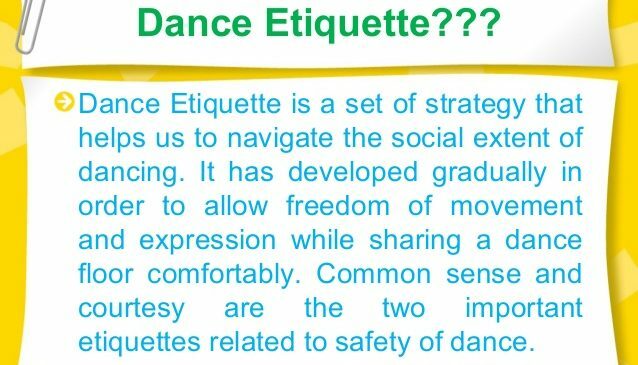 This is most dancers biggest pet-peeve on the social dance floor. We aren’t talking about the odd comment like ‘if your able loosen your grip I could lead you more easily’. But comments such as ‘let me show you how it’s done’ or ‘you’re doing that wrong’, no matter how good the intension, will not be well received and may cause lasting upset. At JivePlay the teachers and crew are always happy to provide guidance and support if needed. Adding a few words of encouragement to your partner during your dance is usually very well received. Don’t forget to thank your partner for the dance and accompany them off the dance floor, or to their next partner. Good manners are much more likely to lead to another dance next time. Don’t forget to stay clean and fresh as much as possible throughout the evening. Wash your hands often, use deodorant and bring a spare top or two if you are prone to excessive sweating. Mints are also there to keep breath fresh! JivePlay do not provide ‘Reserved Seating’. If someone happens to be sitting where you normally sit, asking them to move is not acceptable. Instead maybe ask to join them for the evening – you may make new friends, or simply find an alternative seat nearby. Alternatively, arrive a little earlier. Please remember to walk around the outside of the dance floor if you need to get to the other side of the room. Walking across the dance floor, especially with drinks, is a safety issue and can cause injury to yourself, or someone else. Spilt drinks also make for a very sticky dance floor! Dips and Drops add flair to your dancing and many people choose to include them in their repertoire. Always ask your partner before attempting these moves. Please don’t assume a partner who did these moves with you in the past will want to again today – ask. Please ensure you and your partner are qualified to perform these moves safely on the social dance floor. Ariels look and feel great, but they are competition moves and not suitable for a busy social dance floor. Dancers who have both attended specific training on Ariels, may be permitted to undertake them on a quiet dance floor at the end of the evening. JivePlay do not take responsibility for any accident or injury caused by Ariels being performed. If someone makes you feel uncomfortable, or is offensive whilst at the venue, please let the Organisers (or crew) know. This happens on very rare occasions but JivePlay will deal with this quickly and diplomatically with those concerned to prevent a reoccurrence. Modern Jive is a popular partner dance due to its very social nature and we want to ensure everyone has a good time. Smile, relax, and enjoy your dancing!